Ryanair has said it will slow its growth this winter by flying 25 less aircraft, from its 400-strong fleet, from November until March. The low-cost carrier will then withdraw ten aircraft, from a planned fleet of 445, from April 2018. The decision means as many as 400,000 passengers will see their flights cancelled. In total Ryanair will cancel 18,000 flights between November and March, while more than 30 routes will be suspended. These include including Stansted to Edinburgh and Glasgow, Gatwick to Belfast and Newcastle to Faro. The new cancellations are in addition to those affected by the cuts made earlier this month. 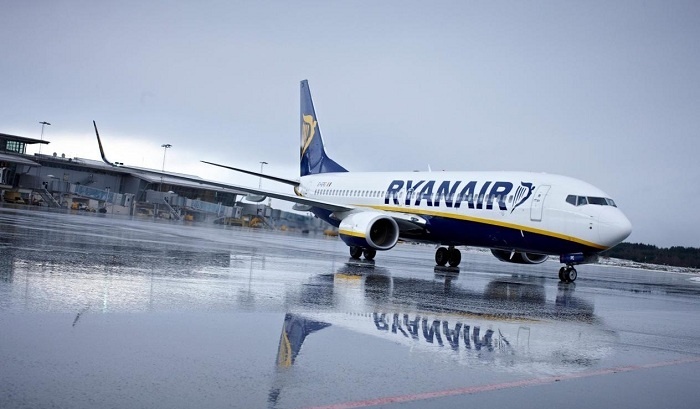 Ryanair said by reducing its flying schedule in this manner it would cut the risk of further flight cancellations, with spare capacity created across its 86 bases this winter. Following the proposed new cuts, the carrier will also be able to roster all of the extra pilot leave necessary in October, November and December this year to meet the IAA’s requirement to complete a nine-month annual leave transition period. Ryanair will then start a new calendar leave year from January 1st with no backlog. The Irish airline caused concern among passengers earlier this month when it said it would cancel as many as 50 flights a day until the end of October in order to accommodate pilot holidays. Ryanair has now emailed each of the 315,000 customers whose flights were previously cancelled over this six week period. Each has been offered a €40 travel voucher, or €80 for return flight, for travel between October and March 2018. This flight voucher is in addition to the flight re-accommodation/refunds passengers received last week, and applicable to the EU261 compensation which they may claim and receive over the coming weeks. Ryanair said flying 25 fewer aircraft this winter would result in a number of flight and schedule changes from November to March next year. The carrier said nearly 400,000 customers are booked on these flights, though they affect one flight per day across 200 airports over the five-month period. Many of the flights have zero bookings at this time, the carrier said. Ryanair chief executive Michael O’Leary said: “We sincerely apologise to those customers who have been affected by last week’s flight cancellations, or these sensible schedule changes announced today. “While over 99 per cent of our 129 million customers will not have been affected by any cancellations or disruptions, we deeply regret any doubt we caused existing customers last week about Ryanair’s reliability, or the risk of further cancellations. “From today, there will be no more rostering related flight cancellations this winter or in summer 2018.